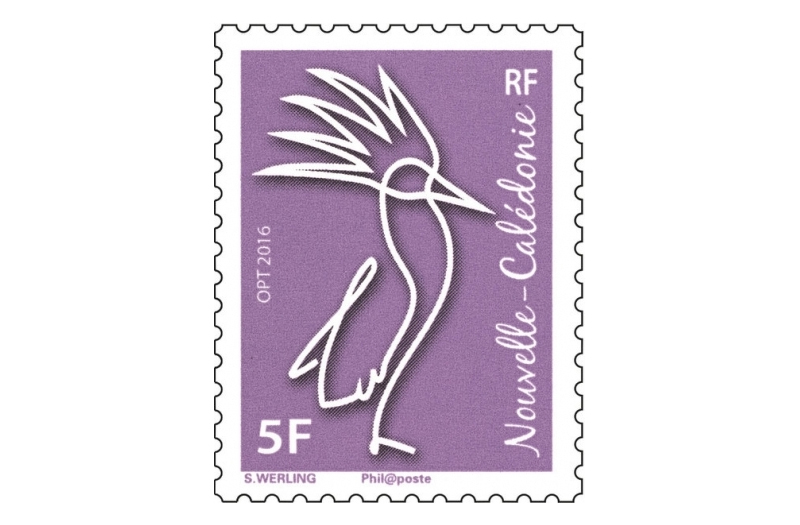 The new “Definitive Kagu” stamp is named after its designer Sébastien Werling, winner of the contest held from 16 May to 3 June this year in New Caledonia. 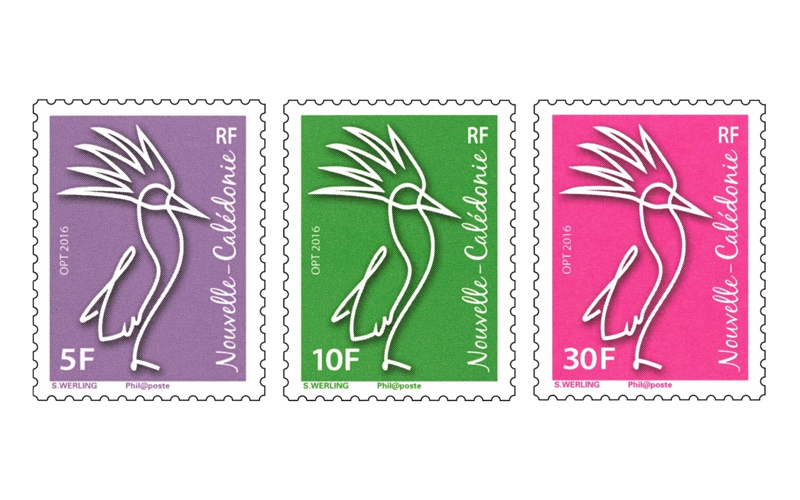 The contest gave all New Caledonians resident in New Caledonia and aged over 18 the opportunity to dream up a new version of the definitive stamp which has embodied New Caledonian culture and history for many decades. 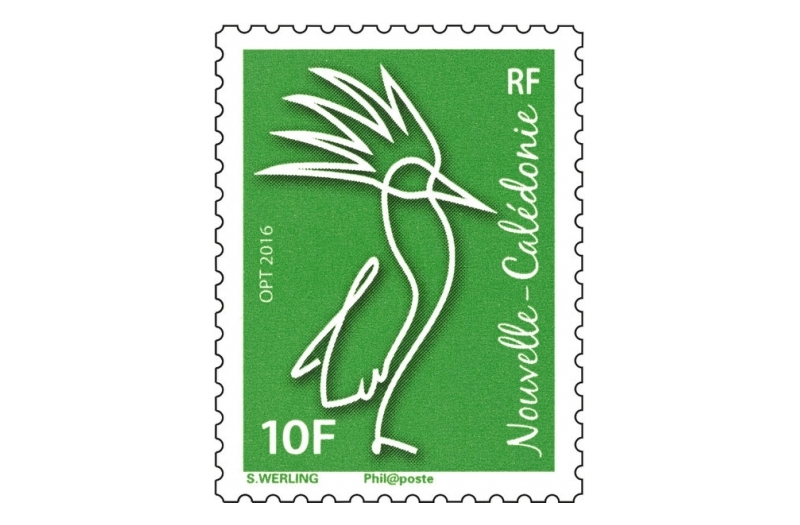 A jury comprising members representing OPT-NC and the New Caledonia Stamp Commission selected the winning drawing from amongst over forty entries sent in from all over the country, awarding the prize to the innovative, minimalist design created by Sébastien Werling, a young engineer at the Goro mine. 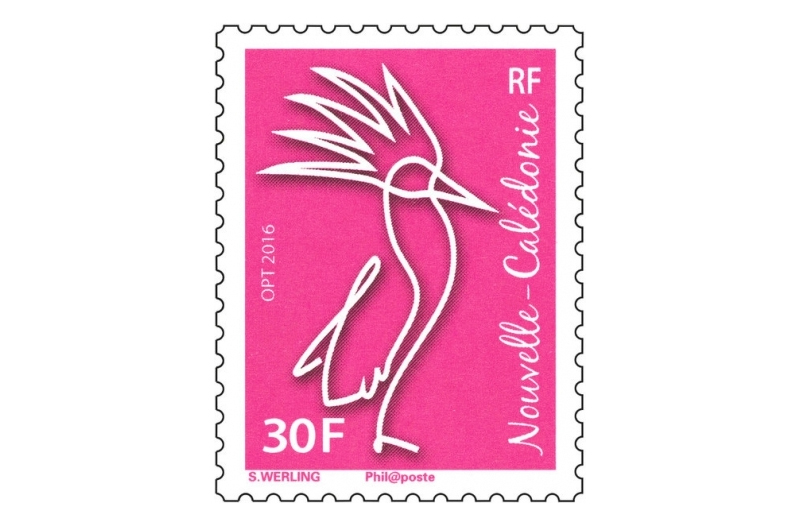 The “2016 Werling Kagu” will henceforth replace the “2009 Ramon Kagu” and is issued in three face values: a mauve 5 XPF stamp, a green 10 XPF stamp and a fuchsia pink 30 XPF stamp, plus 2 booklets of 10 self-adhesive permanent value stamps: red for domestic mail weighing up to 20 g and orange for domestic mail weighing up to 50 g.
From 3 November, this new definitive series is available to the public both at the Paris Autumn Stamp Fair and at the Calédoscope philately store in Noumea. And on the following day, it was on sale at all OPT branches in New Caledonia.